In the central section of Milan you will find the small frame-building shop of Sante Pogliaghi located near the Arco della Pace, a neo-classic arch similar in design to the Arc de Triomphe in Paris. Within walking distance is another Milanese landmark, the Castello Sforzesco. Many works of art are displayed in the castle, the most renowned being Michelangelo’s Pieta. Amid all this history is a small unobtrusive shop whose address is Via C. Cesariano 11, but whose entrance faces Vaile Bryon indicated by the “Pogliaghi” painted above the door. 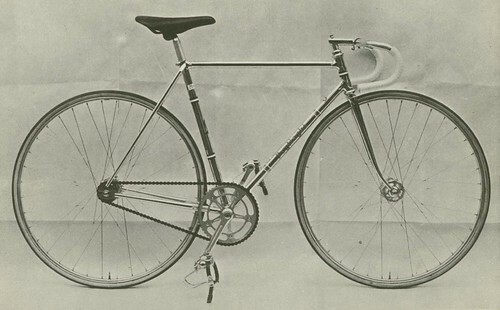 Sante Pogliaghi has probably been building bicycle frames longer than any other master builder. He is 62 years old (at the time of writing) and he started building when he was 11! 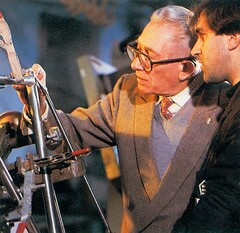 He worked with his Uncle Brambilla, a famous frame builder of the 1920s. When his uncle died in 1947, Sante Pogliaghi continued building frames but now they appear with the Pogliaghi label. 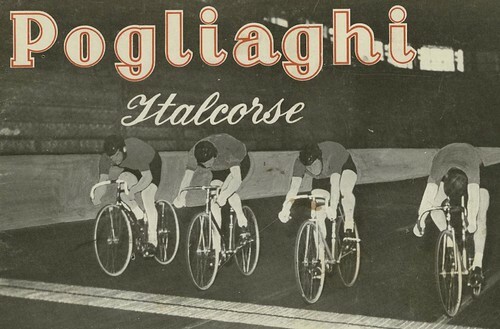 Pogliaghi builds primarily road and track racing frames. 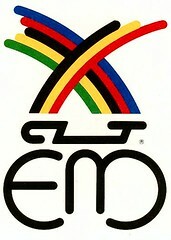 His specialty, however, is the competition tandem. 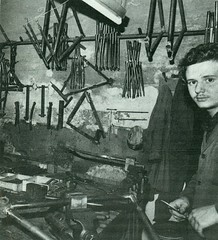 The lugs on the Pogliaghi tandem are hand made by Pogliaghi himself. Since Columbus builds custom large-diameter tandem tubes for Pogliaghi, he is unable to use standard lugs since no one makes tandem lugs that meet his exacting specifications. Consequently, he makes them himself. Pogliaghi has built a few touring frames and touring tandems, but these are not his specialty. He is much more familiar with the technical requirements for racing than he is for touring. 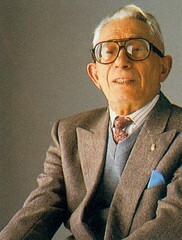 Today, Pogliaghi frames are famous throughout the world. Just a few years ago, this little shop built 100 to 120 frames per year. Now it produces about 800 to 900 frames in the same period. There are six builders, including Pogliaghi, and each builder works on a frame from start to finish. The frames are all hand-brazed without the use of jigs. To help keep the frame from moving, the joints are pinned. Pogliaghi does have a frame jig which he employs when he is building a lot of frames of the same dimensions, but he generally likes to work without a jig. He feels that since he has built frames for 50 years, he can build accurately without a jig. He also feels that when a jig is holding the tubes, the frame will have heat-induced stresses that can result in distortion after cooling. Contrary to normal practice, he builds a frame by joining the seat tube to the bottom bracket and then the seat tube to the top tube. When he finishes this, he attaches the down tube to the bottom bracket and finishes the main triangle by attaching the head tube. For the individual framesets, Pogliaghi brazes with what he terms “the natural gas, the cooking one.” He also uses propane gas, but only for the larger-diameter tubed tandems. He prefers natural gas because it has 10 percent carbonics. “And so the tube, when heated, loses 10 percent carbonics, but by using the natural gas you only lose 5 percent.” Pogliaghi uses a Swiss product called Castolin to braze his frames. It is, according to Pogliaghi, a type of bronze rod. But it actually has a silver content of about 40 percent. Pogliaghi has tried using brazing materials with higher silver content but finds that they are too liquid to efficiently complement his building techniques. He is satisfied with the results achieved by using Castolin since Castolin has high fluidity, a low brazing temperature, and good brazing resistance. Pogliaghi does not design a frame to meet specific angles. He is more concerned with the length of the top tube in proportion to the seat tube. 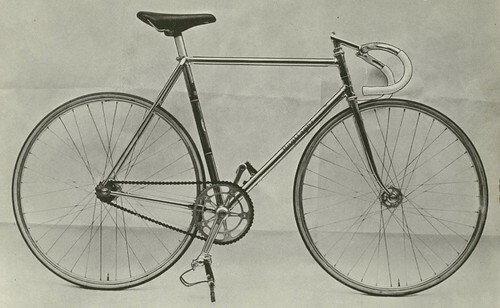 As a general rule of thumb, Pogliaghi will build a bicycle with a top tube only 2 CM larger or smaller than the seat tube. Otherwise, the bicycle will be ill proportioned and will not ride correctly. For example, if you order a 58 CM. 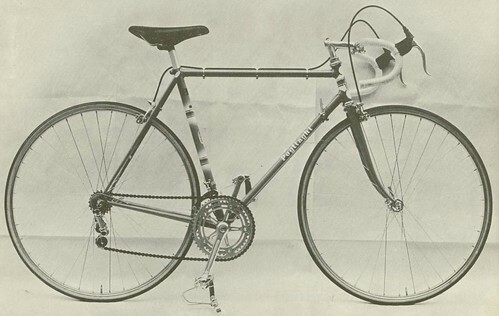 Pogliaghi, the top tube from the center of the head lug to the center of the seat lug, can vary from 56 to 60 CM depending on your individual needs. However, this rule only applies to the medium-size frames. 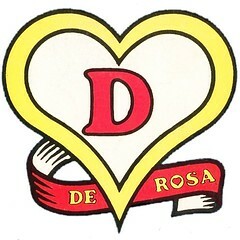 The small and the large frames will not follow this rule. For example, the smallest top tube Pogliaghi will put on a 47 CM. frame is 49 CM. 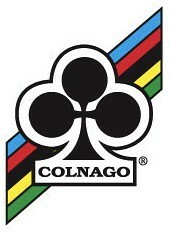 Pogliaghi does not use cast lugs or cast bottom brackets on his frames. He thinks that they create a frame that is too rigid and, as a result, prone to tube breakage at the joints. He does, however, use a cast fork crown, because he feels that the fork must be stiff in order to provide good handling. He generally builds with Columbus tubing, but he will build with Ishiwata or Reynolds tubes, depending on what the customer wants. All Sante Pogliaghi’s frames are sent out for painting and chroming. Sante Pogliaghi, however, cautions about chroming. He believes the chroming should not be done in a sulfuric acid base, otherwise it will eat away at the tube and eventually crack it. A word of advice from Pogliaghi if you must have your frame chromed: “Oil the inside of the frame after it has been chromed” to prevent rust. In Italy, and especially in Milan, Pogliaghi is called the master tailor of the bicycle.” He has custom-fitted frames for many world-class -riders like Sercu, Merckx, Fagin, as well as Italian champions like Baghetto, Nunzi, and Rossi. If you would like Pogliaghi to build a frame, you had better give him your order soon as he plans to retire by 1980. The process is somewhat difficult since Pogliaghi only speaks Italian. We recommend that you order a frame through one of the many bicycle stores throughout the United States that deal directly with Pogliaghi. Because of his ability to custom-design a frame to an individual rider’s physique and racing specialty, there is a long waiting list for a Pogliaghi custom frame. Recognizing that not everyone will necessarily be interested in a Pogliaghi frame, Signore Pogliaghi recommends other Italian builders in Milan whom he believes are superb craftsmen: Cinelli and De Rosa. Do you have a Pogliaghi? Check the Pogliaghi Registry to add or verify your serial number. 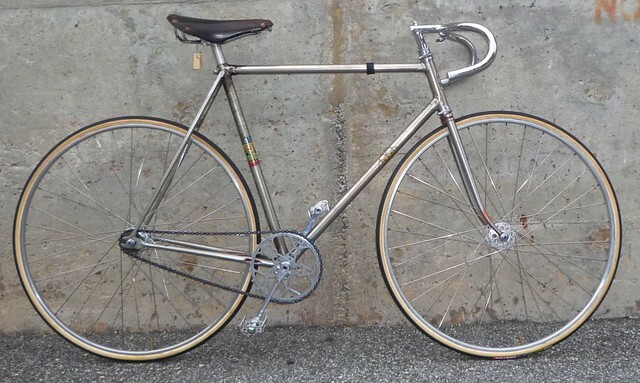 This entry was posted in Frame Builders and tagged Basso, Italcourse, Lugged, Milan, Pista, Pogliaghi, Rossin, Sante Pogliaghi, Steel, Tandem, Track. Bookmark the permalink. Very nice. Thanks for the link!